Nicholas has been using various workbooks for his Logic curriculum. They are just mind-stretching problems that get his brain working to develop a solution. He loves this kind of thing because he is good at thinking outside of the box. We were completely happy with the workbooks he had been using until we had the chance to try Solve It! 3rd: Problem-Solving Strategies by AIMS Education Foundation. It's a 3rd grade level book designed to introduce children to nine problem-solving strategies through hands-on activities. It is these hands-on activities that make this book better than the problem solving books we had been using. These activities use simple household items like paper clips so there is not a lot of prep time or running errands for some obscure supply. But most importantly, the hands-on activities make it so much more fun for Nicholas. We don't even talk about it as "schoolwork". I just tell him that we have a new game to play and he jumps right on board. I feel strongly that hands-on activities helps to solidify learning in a way that no other teaching style can. This book even has a full page Chinese Proverb that states, "I Hear and I Forget, I See and I Remember, I Do and I Understand". Here is one of the earlier activities that we did called Pumpkin Patches. For this activity, the child is given a certain number of paper clips and some pumpkin pieces. He has to form his paper clip fence into various shapes to see which one would allow enough space for the most pumpkins to be grown. Another fun activity was Clue Me In which uses cards with clues to help the child figure out a particular surprise number. Some of the clues might be, "There is no 7 in the number" or "The sum of the digits in the tens and hundreds place is six". There is a worksheet where the student can mark out numbers that he knows are not in the surprise number as he figures out the clues. These are great activities to help kids expand their minds and the way they look at things around them. The book also comes with a CD that contains all of the printables from the book that you might need. 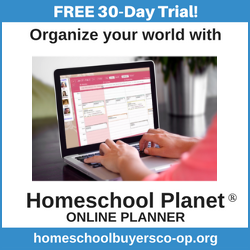 You are allowed to make up to 200 copies of each of the activity pages so it is a great option for Co-ops or families with several children. Solve It! 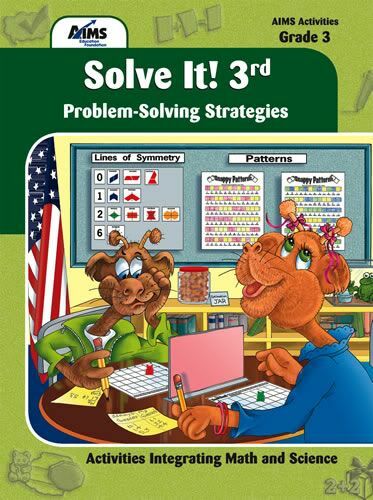 3rd: Problem-Solving Strategies is 240 pages and contains 29 activities. It is available for $24.95 at the AIMS Education Foundation website store. AIMS Education Foundation is a good resources for Math and Science materials. I'm currently looking at Electrical Connections and Primarily Magnets. 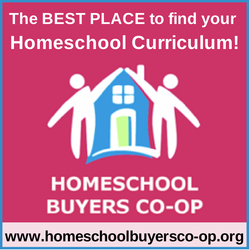 Many of their books are not specific for homeschooling and could be used by parents whose children attend a regular school but need some review or supplemental learning. AIMS Education Foundation even has laboratory kits for sale on their site. I received Solve It! 3rd: Problem-Solving Strategies from AIMS Education Foundation for review purposes. I was not compensated for my time and my opinions are all my own. Please check out what others on the TOS Homeschool Crew have to say about the great materials from AIMS Education Foundation.